As the Wii U enters its final holiday season, it seems apropos to look back on the system. Nintendo really tried to sell consumers the idea that the Wii U GamePad was something innovative and special. However, the sales of the Wii U system speak for itself. Most people either weren't interested in what the GamePad offered, or they still thought the GamePad was an add-on to the Wii. Still, despite Nintendo sometimes showing that it was even oblivious to how to show off the Wii U GamePad as a useful controller, the company did manage to make it seem worthwhile. Not only that, but a good amount of third-party developers managed to do the same! With this article, my intention is to show off some of the games that actually used the Wii U GamePad well. Perhaps you could call them the best Wii U games that used the GamePad. Now, I'm neglecting to mention games that just had off-TV play available to them or something as simple as a means to select from an inventory or use the screen as a map, though there are some games that are on this list that slip past that caveat. Regardless, after you've read this article, answer the SuperPhillip Central community this: What Wii U games do you think best used the Wii U GamePad? I wonder if this game had been released closer to the Wii U's launch rather than near the end of the console's life if the Wii U would have been a better success. Of course, all I can do is think as there's no way to determine such a thing 100%, as there are too many variables to consider. Regardless, Super Mario Maker seemed like the game the Wii U was made for, allowing players to tap and insert various elements like blocks, pipes, enemies, and more into their own levels. The interface was immensely accessible to users of all ages, and the amount of cool stuff you could create was really only limited to your imagination. Okay, okay. 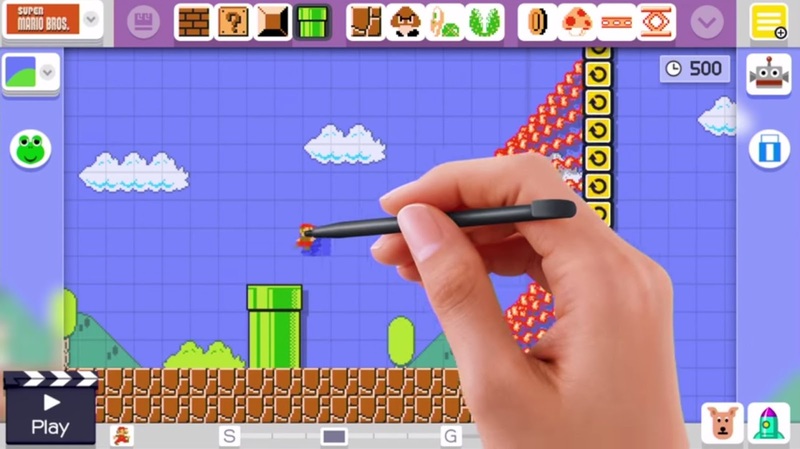 Only limited to your imagination and what was actually possible in the maker part of Super Mario Maker! The community is still very much active, and while a Nintendo 3DS version is releasing in December, its lack of online level sharing already makes it an inferior version. This game didn't get much fanfare as the final game revealed at the Wii U's coming out part several E3s ago. Heck, even the confetti that was supposed to go off at the end of the segment for the game didn't work. 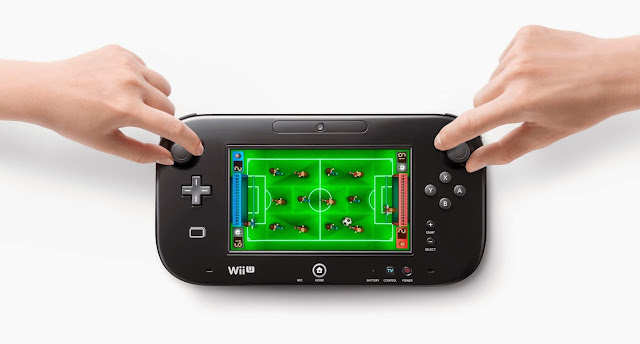 Still, Nintendo Land was the technical showcase of all the possibilities the Wii U GamePad could do, and it sold the concept of asymmetric multiplayer rather well. 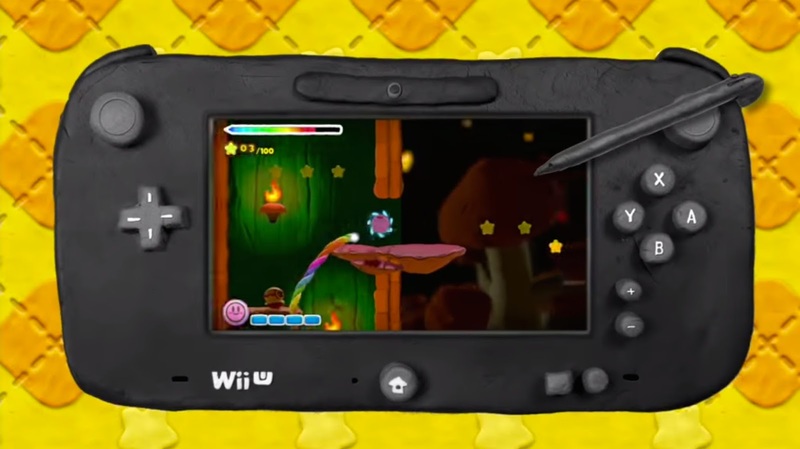 Whether having one player use the GamePad screen as not only a map but their own personal screen to hide and run away from their pursuers in Mario Chase to using both analog sticks to control Booker and Copper as they try to capture the candy thieves in Animal Crossing: Sweet Day, the variety of uses for the Wii U GamePad in the multiplayer games as well as the several solo experiences made the potential of the controller really exciting. Too bad the potential didn't really culminate as Wii U owners had desired. 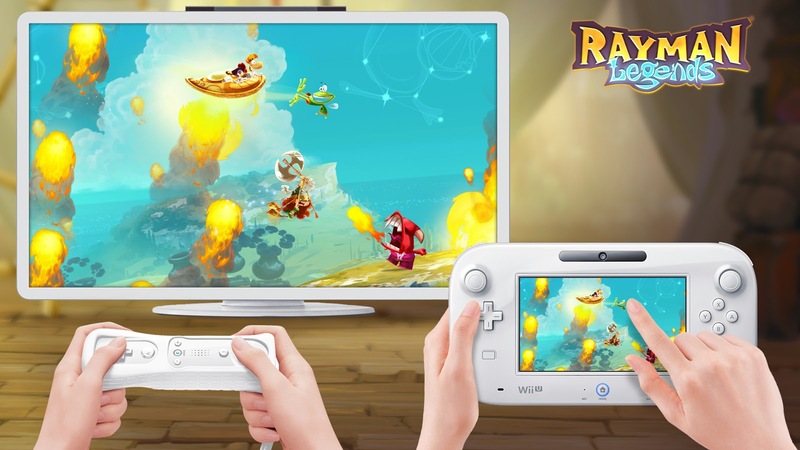 The story of Rayman Legends's development is a sore story for Wii U owners. The game was delayed and was ported to other systems due to the less than stellar sales of another Ubisoft game, ZombiU. 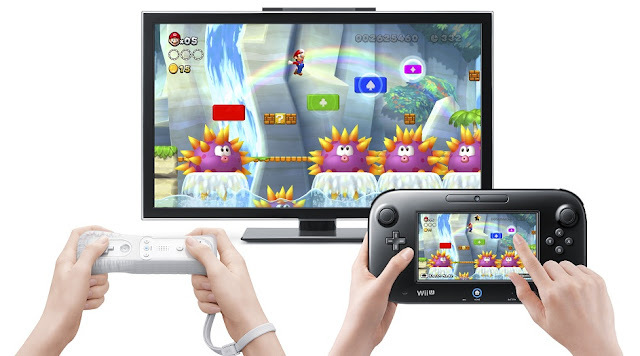 Not only did this delay anger Wii U owners, but the sales may have suffered too because of it. Many Wii U owners had other games to play by the time Rayman Legends came out, so maybe a timed exclusive would have worked better. 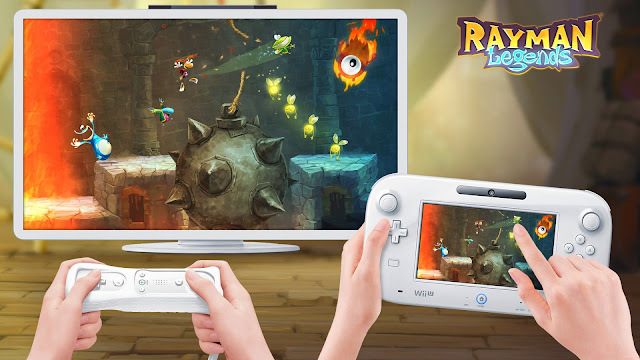 Regardless, Rayman Legends used the Wii U GamePad with great gusto, having players touch, pull, and tinker with the environment in special Murfy levels. 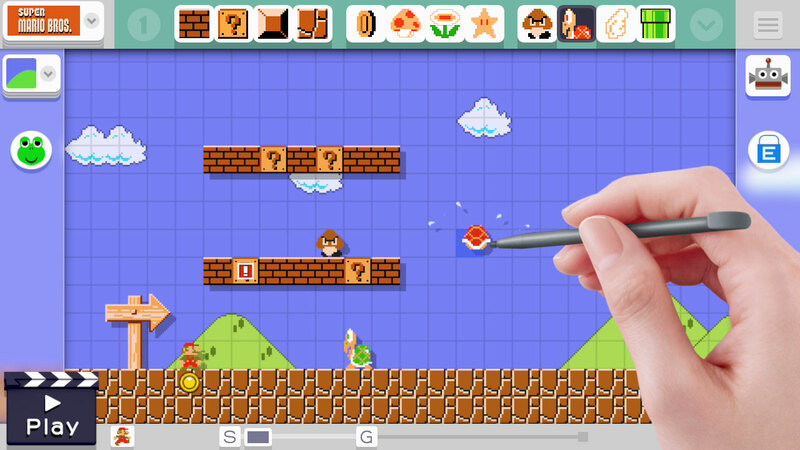 While players interacted with the environment, either an AI character (in solo mode) or players with Wii Remotes in multiplayer could navigate it thanks to the Wii U GamePad player's help. I remember being so excited and surprised at how well Legends looked in the live demo at an E3 Ubisoft press conference leading up to the Wii U launch. My excitement continued all throughout playing the game. I mentioned this Wii U launch title in my description of Rayman Legends. This game bombed on the Wii U, though it wasn't due to its quality-- more to do with its subject matter that quite clashed with the traditional Nintendo demographic-- hopefully that is a fair assessment on my part. Regardless, ZombiU was a survival horror game of the most literal sense. It was about survival in the zombie apocalypse in present day London. As a survivor, you only had your wits about you and a bug-out bag containing limited room for items found in the wild. One bite from a zombie meant that your survivor was... well, no longer surviving! 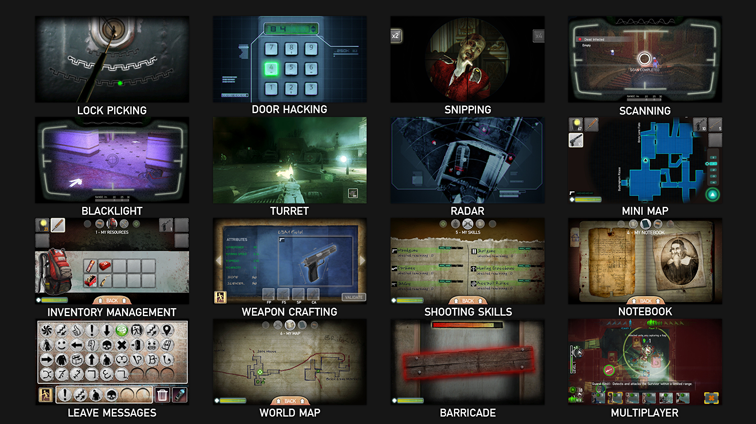 From there, you took control of a new survivor with all of your old tools gone-- though you could find your last survivor in zombified form to take back your goodies. 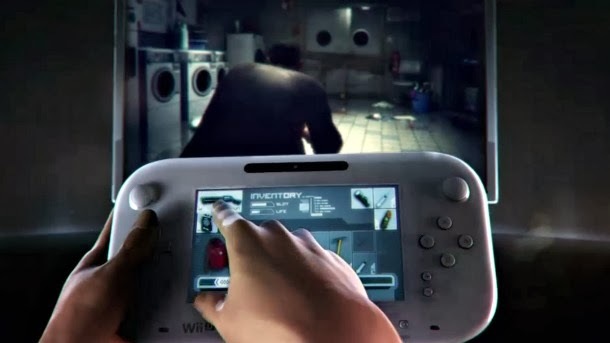 The Wii U GamePad was used to organize your bug-out bag, take out and put in items and objects. However, this played out in real-time, so while you sifted through your backpack, a zombie could come along and attack you. Thus, looking back and forth at both screens was required to be assured your survivor wouldn't turn into zombie chow out of nowhere. Ubisoft remastered ZombiU onto the PS4 and Xbox One, but not only did it bomb there, too, but it was an inferior game due to the lack of the Wii U GamePad's available options. A lot of us in the gaming community ate our crow when a new IP from Nintendo, on the Wii U of all systems, found massive amounts of success. That new IP and game was Splatoon, a team-based third-person shooter where the goal wasn't to score kills, but instead, the super-creative and innovative goal of spewing your team's colored paint to cover the most ground before time runs out. Not only could you spray, but as a squid kid you could enter into squid form and travel inside the paint coated on the ground for some really clever arena traversal. 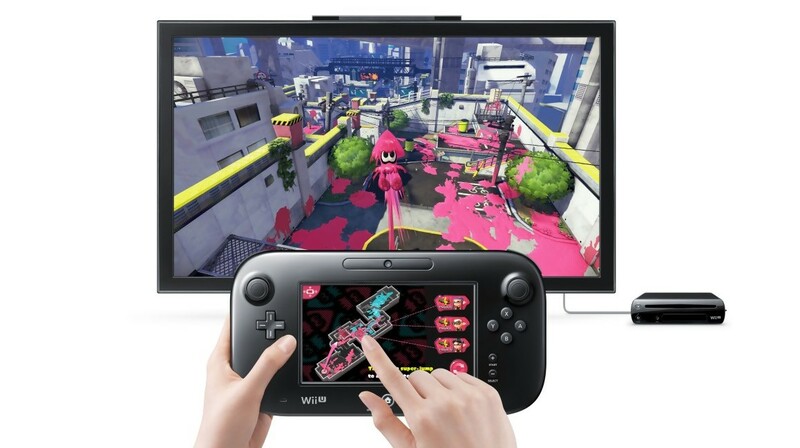 The Wii U GamePad was a necessary part of Splatoon, allowing players to make note of how much of the map was covered by both their team and the opposing team's side, as well as allowing them to jump instantly towards another teammate. Whether the next game is called Splat2n or whatever, Nintendo gamers and third-person shooter fans wanting a different take on the genre wait with bated breath for the NX and a probable sequel! This game might be a controversial pick, as Star Fox Zero's reviews were mixed at best. 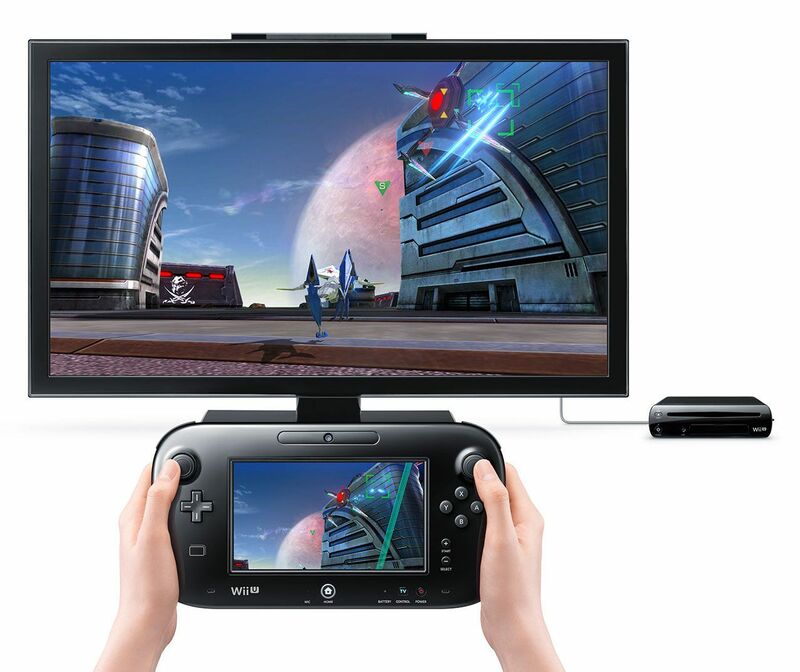 This was mainly due to the controls and how the Wii U GamePad was utilized in-game. 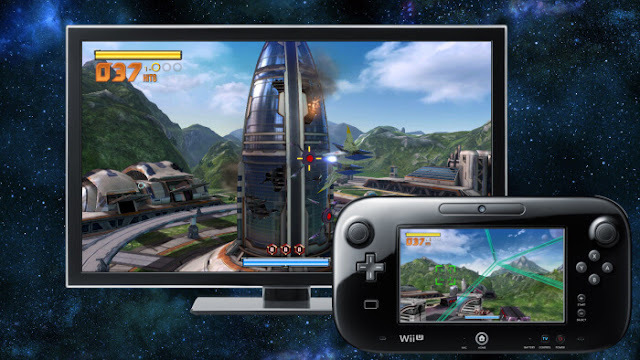 The television screen showed Fox McCloud's piloted vehicle in a third-person mode, while the Wii U GamePad screen showed a first-person view. 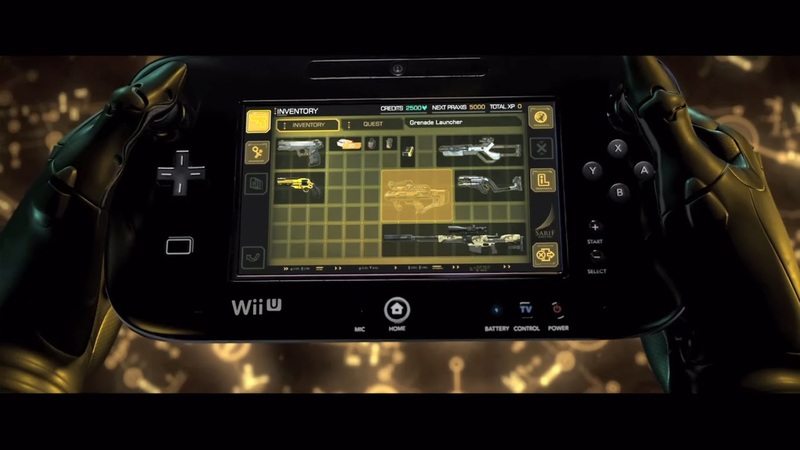 With a mechanic that could only be done with a second screen, players could move the Wii U GamePad around to aim at enemy ships not only directly in front of Fox's Arwing, for instance, but they could aim at enemies to the side-- ones that would otherwise be completely off-screen in the third-person view. Now, there's no question that this control setup took some getting used to, but when (or maybe IF is the better word to use) that setup clicked, high scores could easily be obtained and you really felt like you were in control of Fox McCloud's space and land combat movement. It's a shame that the barrier of entry was so high, as I truly do believe that Star Fox Zero is a great game. The title that was bundled with Star Fox Zero, Star Fox Guard, saw you playing as Slippy Toad, using the Wii U GamePad to switch between various monitors. The different monitors had different viewpoints, and this allowed players to fend off enemy robots coming to cause trouble. 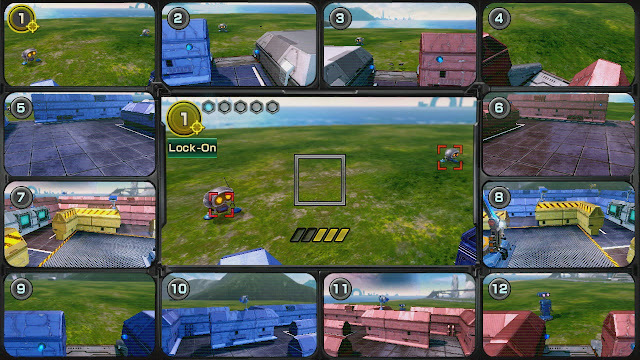 Through smart management of switching between monitors and attacking, players could successfully complete each of Star Fox Guard's missions. For its relatively low entry price, Star Fox Guard possessed a good deal of variety and play time for players to enjoy. Outside of being bundled with the physical version of Star Fox Zero, those desiring the game but not wanting the entire package can download Guard from the Nintendo eShop. Indies continue to show that they shouldn't be ignored or seem inferior just because of their available budget or size. This is especially true for the folks at KnapNok Games, the creators of the Nintendo eShop exclusive, Affordable Space Adventures. 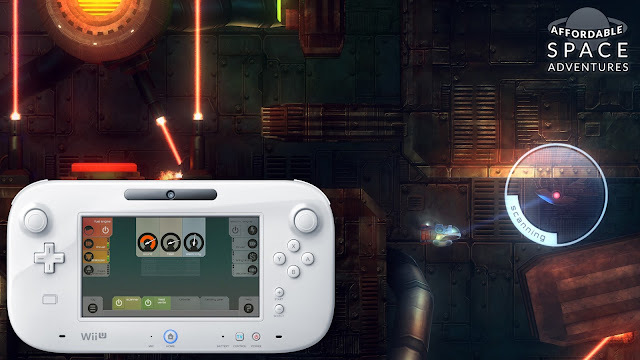 This 2D adventure game had players controlling a spaceship, utilizing the Wii U GamePad to perform various systems within the ship. This included tasks like changing the landing gears of the ship, altering the thrust level, and more-- all done by touching icons on the Wii U GamePad's screen. The goal of the game was to navigate through levels, starting from the entrance and heading to each level's exit, all the while managing the spaceship's functions and systems. 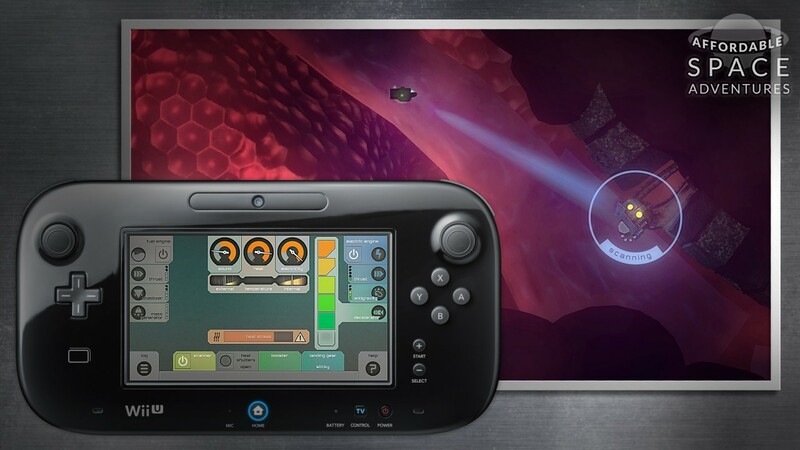 All in all, Affordable Space Adventures uses the Wii U GamePad in a sensationally clever way that few other indie games on the system can compete with. To me and a lot of other Nintendo system owners, it didn't seem like a smart idea to release two New Super Mario Bros. series games in the same year, much less the same three month period. However, that didn't stop Nintendo from doing so, albeit on different systems. Thus, a launch game for the Wii U, New Super Mario Bros. U didn't have the same "wow" factor as it possibly could have had. Regardless, playing the game solo doesn't show off the Wii U GamePad in any effective way. Sure, you can play directly on the Wii U GamePad screen with off-TV play, but that's a feature so many Wii U games have. Hardly notable on such a list like this. 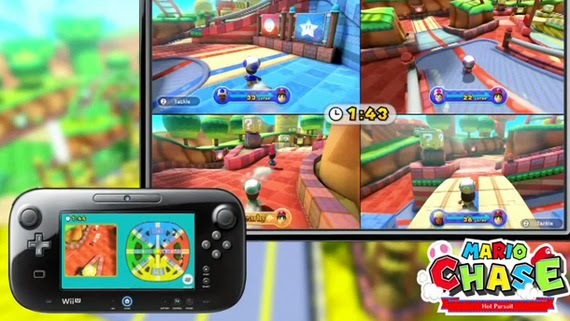 Regardless, it was multiplayer where the Wii U GamePad really shined. Here, the player holding the controller could tap on the screen as the other player(s) went through the level normally. In doing so, differently colored platforms would appear for the other player(s) to jump on. In tandem with each other and with great communication, some really awesome platforming feats could be possible... or you could be like me and try to screw over your friends by placing blocks to impede their progress. I'm such a good friend, I sarcastically say! Pikmin 3 was a pet project from Shigeru Miyamoto, who I think takes more crap from Nintendo gamers than he deserves lately. That's another topic for another day, however. Pikmin 3 utilized multiple control methods, and the best ones used the Wii U GamePad as a map for the various levels in the game. 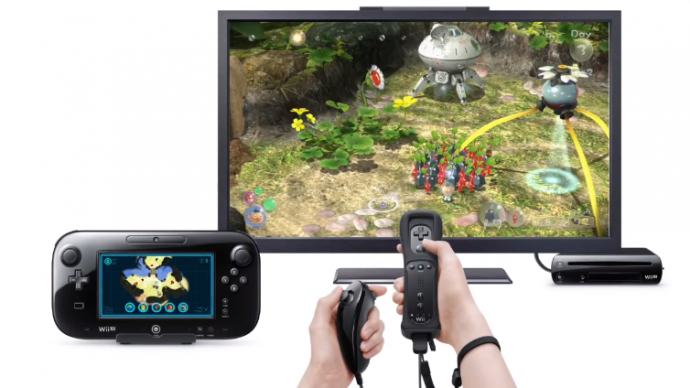 With the controller, players could assign one of the three main protagonists and their own legion of Pikmin to various areas on the map. This meant you could do lots of multitasking to split up chores between the three characters and their assigned Pikmin. It was especially fun seeing how well I could assign my "squadrons" to complete levels in as few days as possible. 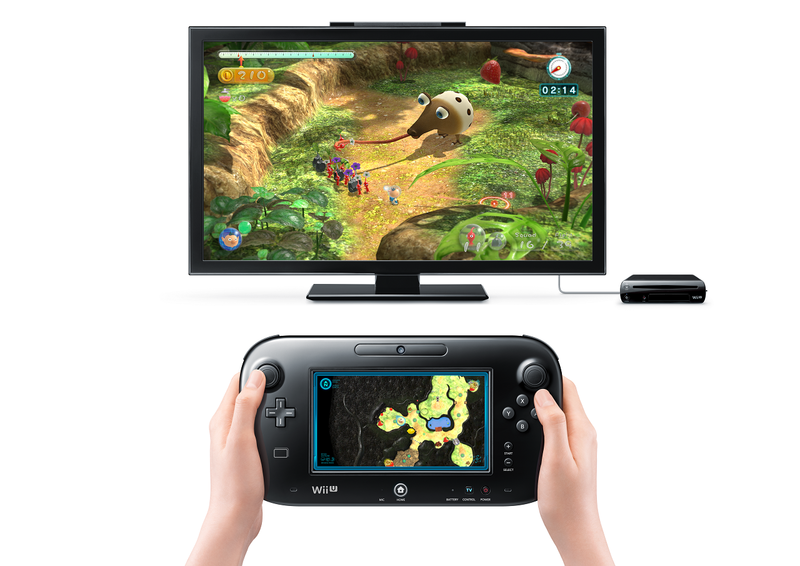 Pikmin 3 wasn't the most exciting use of the Wii U GamePad, but it sure as heck was one of the more effective ones for gameplay purposes. 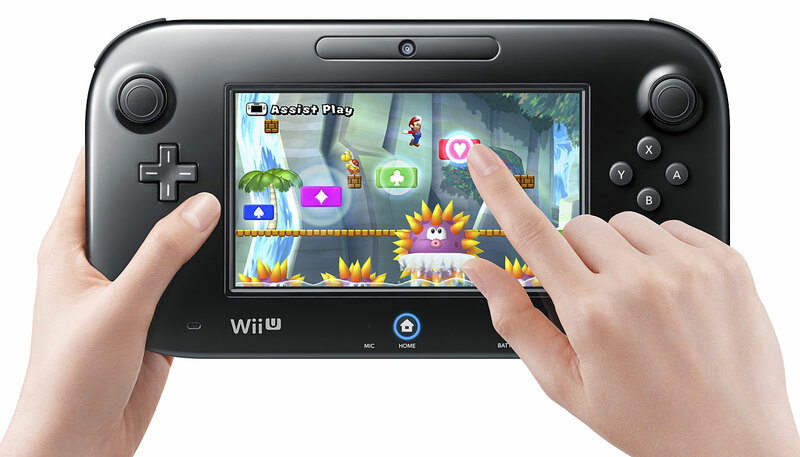 *The actual Wii U GamePad is not made of clay. A direct sequel to the gameplay style that the Nintendo DS game Kirby Canvas Curse possessed, Kirby and the Rainbow Curse was a shoo-in for a game on the Wii U to use the Wii U GamePad. 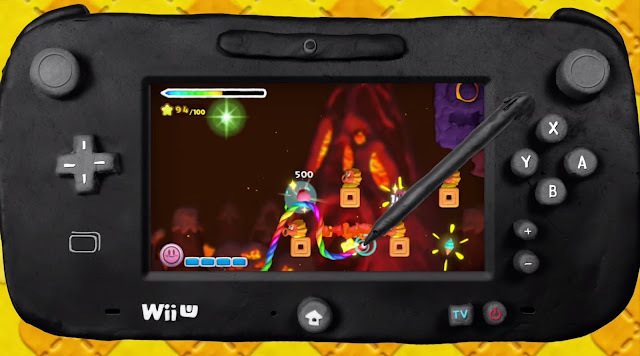 Rainbow Curse had you drawing lines with a magical rainbow paintbrush to guide Kirby through colorful and challenging levels. A tap of Kirby would allow the pink puffball to gain speed and slam into enemies safely. Now, sure, having to use the Wii U GamePad for the entire game meant that there wasn't really much of a point in making the game HD, as your attention always had to be focused on the SD Wii U GamePad screen, but Kirby and the Rainbow Curse's entertainment value far outweighs the compromise. The game also has one of my favorite Wii U soundtracks, but again, that's another topic for another day! Originally announced as a Wii U exclusive, Deus Ex: Human Revolution Director's Cut was later announced that it was coming to the PlayStation 3 and Xbox 360, which was nice. Why keep an enhanced and much improved version of the game on one system? However, despite being on more platforms, many-- included the developers-- feel that the Wii U version of this Director's Cut is the ultimate version of the game due to the features added thanks to the help of the Wii U GamePad. Obviously you can play the entire game on the Wii U GamePad itself, but things like using the GamePad's screen as a radar, map, and infolog, as well as using the touch-based interface of the GamePad screen to hack different terminals, cameras, and other technology, and being able to view your inventory with the quickness and convenience of just looking down at the GamePad screen. 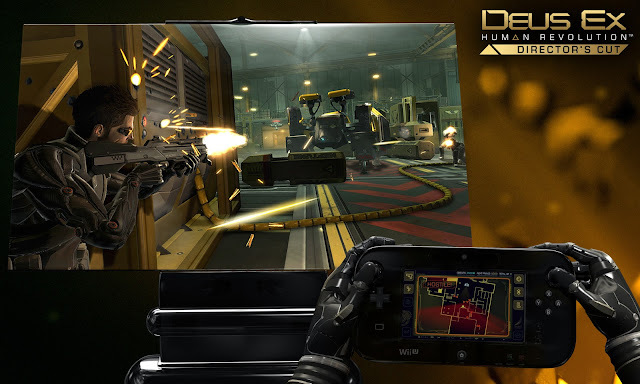 Deus Ex: Human Revolution Director's Cut was an astounding game made even better thanks to the Wii U GamePad. 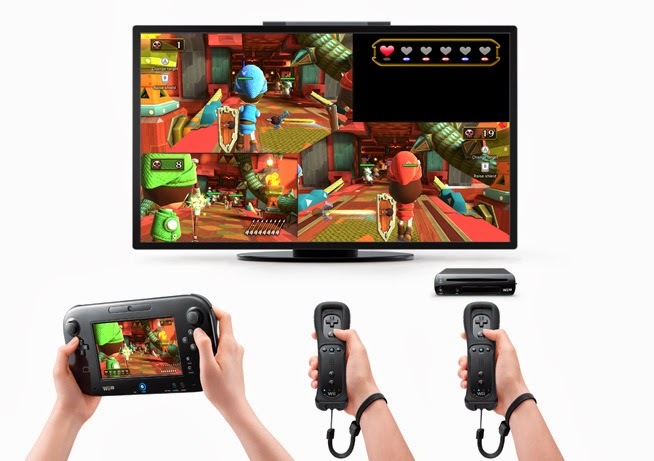 I know what you might be thinking-- aren't there enough party games on the Wii U? Sure, but why not? Out of all them, though, besides Nintendo Land, I feel Wii Party U best utilized the Wii U GamePad in a variety of humorous, amusing, and engaging ways. Now, there were mini-games in Wii Party U that sported a similar asymmetric gameplay like Nintendo Land, where one player used the GamePad while the other three used Wii Remotes, but there were some other notable uses as well. The hysterics that could be brought on by Name That Face, where the Wii U GamePad player gets a description of a face to make, takes a photo, and then the other players try to guess what the player's face was trying to convey via multiple choice was incredible and led to many nights of laughter with my friends. Then, there was a Pictionary-styled game, as well as tabletop offerings in the form of baseball, foosball, and more. 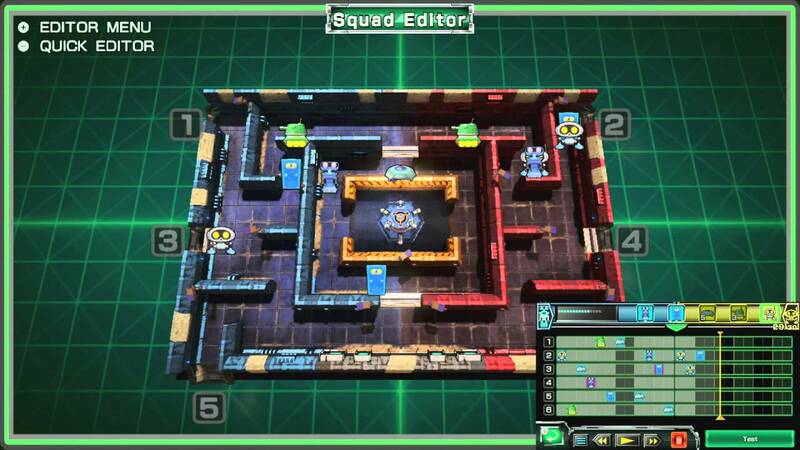 These tabletop games were played solely on the Wii U GamePad with two players seated on each side to control the game. 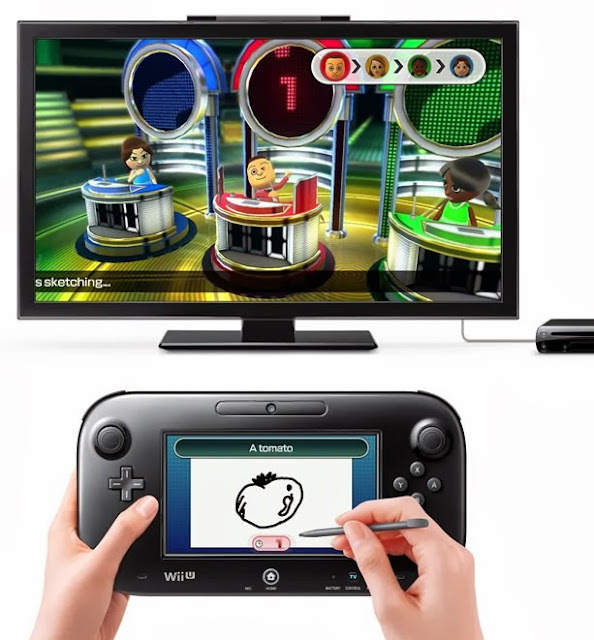 Wii Party U was an entertaining party game that sadly, many Wii U owners passed on.